“If I didn’t put his homework in his folder, put the folder in his backpack and ask the teacher to get him to take it out, he would never turn in any homework,” says a mother of a son with ADHD. “I have to sit right with her to get her to do her homework. It takes hours and by the time it’s over we can barely stand each other,” says a father of a teen with learning disabilities. The shadow side of helping too much becomes more apparent in the middle and high school years, and often becomes an even bigger problem in college and into adulthood. If you are nodding, crying or smiling, you know this role. These parents are literally stepping into their child’s brain and performing the executive functioning skills their son or daughter struggles to do on their own. It all starts out of clear and defined need; young children need adults to teach them how to plan, prioritize, and manage time and multi-step projects or actions. Toddlers know that they put on their pajamas and brush their teeth before they get in bed. Preschools are set up for young minds who have short attention spans and can only hold a couple of behavioral rules at a time (walk, don’t run, hands to ourselves, indoor voices). As they move into elementary school the expectations also rise. Children are expected to remember more rules for different settings (what you can do on the playground is different than what you can do during math time) as well as follow multi-step direction, control their impulsivity and one of the big ones—completing work tasks on time and correctly. And at home, they are expected to start participating in household chores, and get themselves ready to go to school. Parents intuitively know that they need to put breakables up high when their baby starts crawling. They know they need to block the stairs and keep the back door shut. Without consciously thinking about it, parents masterfully step into the role of their child’s brain, specifically the frontal lobe which houses the executive skills functions. Most of the time, this process naturally and gently moves from the parent’s domain to the child’s. It’s what kids are supposed to do. They start insisting they will “do it myself” thereby giving parents a clear signal it’s time to back-off and let them learn to do it themselves. But what about the children whose brain is wired differently? Kids whose frontal lobe functions are immature and underdeveloped such as in a child who has ADHD or ADD, an autism spectrum disorder, mental health issues, or medical issues? Those children need external help to stay functional, keep their room clean, track their belongings, get along with siblings, deal with changes in routine, get ready to go to school and complete homework. And guess who gets that job? Parents can’t wait, teach and process for everything their child needs executive functioning support for, so they take over as much as they can –for everyone’s sanity. Unfortunately this life-saving method will become a habit and that’s when it can become dysfunctional. When children are young, it usually doesn’t look like anything but attentive parenting. The shadow side of helping too much becomes more apparent in the middle and high school years and often becomes an even bigger problem in college and into adulthood. Outside demands keep increasing; teachers expect students to be able to juggle multiple classes and assignments and have a basic handle on organization, time awareness, ability to prioritize and the perseverance to get the work and activities completed. At the same time, adult support decreases and students are left on their own to make it all work. Changing habits is hard work and the first step is seeing what needs to be changed. How do you know if you are “doing too much”? You automatically pack up for your child before school or practice or a trip. 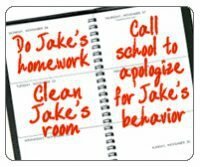 You speak before you think – such as giving them a reminder they need to start on homework or unload the dishwasher or any daily task without waiting to see if they can do it on their own. You constantly come to the rescue and run to school to bring the lunchbox or homework or soccer shoes left behind. Parents don’t want to see their beloved children struggle, make mistakes or fail. But the time comes when parents must step back, look at the habits they have created and use their own executive functioning skills to make a new plan – one that will help their son or daughter train their own brain. Here’s a scenario that might sound familiar: Sara started to see that her own behavior was interfering with her 10-year-old son Dylan’s development when her sister Jennie visited and watched Sara do all the thinking and planning for both Dylan and herself. Sara was running around the house getting packed for a ski day and that included getting all of Dylan’s stuff, too. He played video games while she was organizing. “Why are you getting everyone’s stuff?” her sister Jennie asked. “I have to. Dylan would forget something like his gloves and that would ruin things for all of us,” Sara quickly replied. Sara stopped, ski pants draped over her arm. She knew that Jennie was right but she had no idea how to go from doing all her son’s planning to teach him to do it himself. She had made it so easy for Dylan; he didn’t even try to help. He got the message that he ‘couldn’t’ do it right so he didn’t need to do it at all. Jennie, being the observer, could see that this dynamic wasn’t good for anyone, especially Dylan. She also knew that parents can’t go from doing it all to doing nothing. That was a set-up for failure. And though she had some good suggestions, both Sara and Dylan needed to take a step back in order for Dylan to know how to get from where he was to where he wanted and needed to be. They needed to do 3 things to get him on the path to organizing himself. Start at the end. That means that in order to use a checklist, Dylan needed to know what it would look like when he was ready to ski. He needed a picture of what ‘ready’ looked like. Parents can literally take a photo of what ready for school, ready to ski, ready to play baseball looks like (take a picture when he is ready and use that as his reference). Then you can ask him, what do you need to get or do to get to the end point?Tip: Before starting to pack, stop and ask Dylan to imagine himself at noon in the slopes, what will he look like, be wearing, etc. Estimating time. Just because a child can tell you what time it is does not mean they understand how long 15 minutes feels like. Practice time sense in small ways by first estimating how long Dylan thinks it will take to get ready to ski. Let’s say he says 15 minutes. Set a timer for 5, 10 and 15 minutes. Use each checkpoint to see how far along he is as a method of feedback and encouragement, not to show him how inept he is at using his time.Tip: Make sure you have an analog wall clock where you can see the minutes actually move. Organize by category. Checklists don’t usually work for people with executive functioning deficits. They don’t make any sense. Instead of a list, try organizing by category and use pictures to provide visual prompts. For instance, Dylan can pack for baseball practice by using three categories—equipment, clothing and snacks. He can take a picture what is needed in each category and then put it into his ‘baseball’ bag.Tip: Put the picture on a luggage tag attached to the bag. 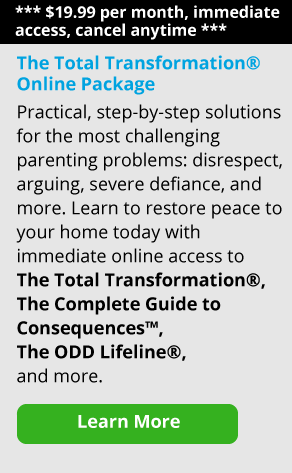 It is never too late to change the terms of engagement with your child or teen. It is natural to do less as children grow. Even kids who seem lazy and unmotivated can change when parents change their role in the relationship. When adults can give their children real, practical tools along with a clear and voiced belief that the child can learn, everyone benefits. Today, Dylan packed up his ski gear; tomorrow, he will learn what he needs to be ready for school, without Sara doing it for him. Then they can celebrate together.